Luker Rowe is a leading independent Chartered Insurance Broker offering expert and professional advice to discerning business and private clients. We pride ourselves on our intelligent and impartial advice on the widest range of insurance products and providers backed up by our personal service and commitment to value. 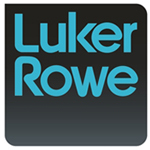 Luker Rowe has been operating since 1989 and was among the first independent brokers to be awarded Chartered Status in 2009. Our skilled team of dedicated advisers are on hand to help find the right solution for you.